‘Eligible candidates have a fundamental right to be considered for promotion against the available vacancy and promoted if adjudged suitable’ says Supreme Court. A Bench of Justices AK Patnailk and JS Khehar set aside as "invalid" the order of the Cabinet's appointment committee not accepting the recommendation of a selection board to promote Major General HM Singh as Lt General. 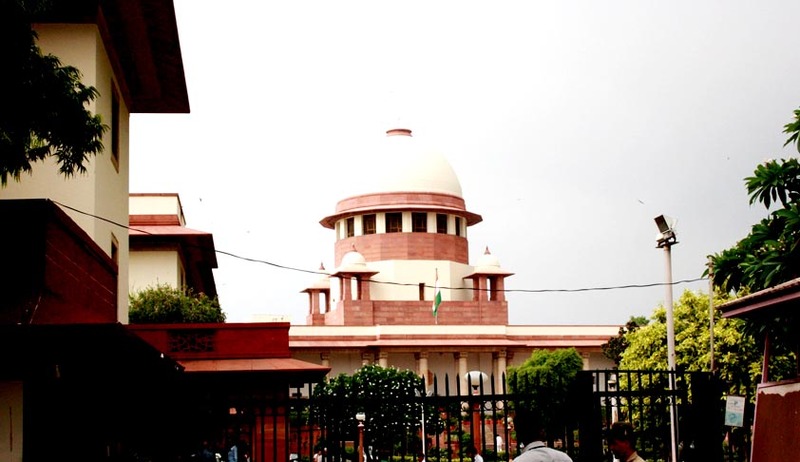 The apex court was addressing the question whether the non-consideration of Maj Gen Singh's claim would "violate the fundamental rights vested in him under Articles 14 and 16 of the Constitution of India". Answering its query in affirmative, with a rider that it was subject to authorities being desirous of filling the vacancy of a Lt Gen's post when it became available on Jan 1, 2007, the court said that in the case of Maj Gen Singh, the authorities were desirous of filling up the said vacancy in the Defence Research and Development Organisation (DRDO). The court rejected the government's plea that at the time of considering Maj.Gen. Singh for promotion, he was on extension of service. Granting promotion to Maj Gen Singh as Lt. Gen. from the date due to him, the court said that he would be treated as being on service till Feb 28, 2009 when he would have attained the age of 60 years, and would be entitled to "all monetary benefits which would have been due to him, on account of his promotion to the rank of Lt Gen till his retirement on superannuation, as also, to revised retirement benefits which would have accrued to him on account of such promotion". The court also directed the government to release the monetary benefits to Maj Gen Singh within three months from the date of the receipt of the certified copy of its judgment. “The factual position depicted in the counter affidavit reveals, that the respondents indeed were desirous of filling up the said vacancy. In the above view of the matter, if the appellant was the senior most serving Major General eligible for consideration (which he undoubtedly was), he most definitely had the fundamental right of being considered against the above vacancy, and also the fundamental right of being promoted if he was adjudged suitable. Failing which, he would be deprived of his fundamental right of equality before the law and equal protection of the laws, extended by Article 14 of the Constitution of India”. “The action of the authorities in depriving the appellant due consideration for promotion to the rank of the Lieutenant General, would have resulted in violation of his fundamental right under Article 14 of the Constitution of India. Such an action at the hands of the respondents would unquestionably have been arbitrary”.